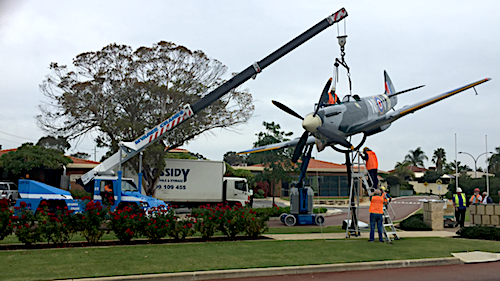 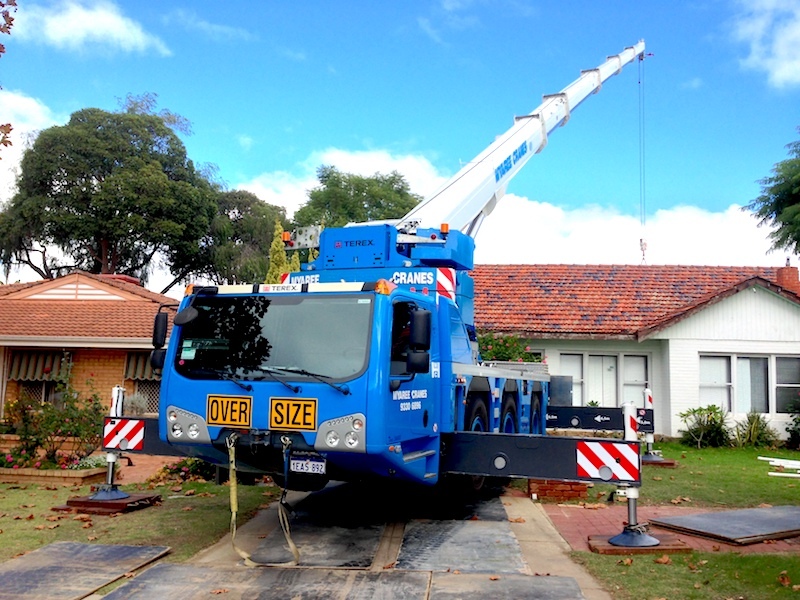 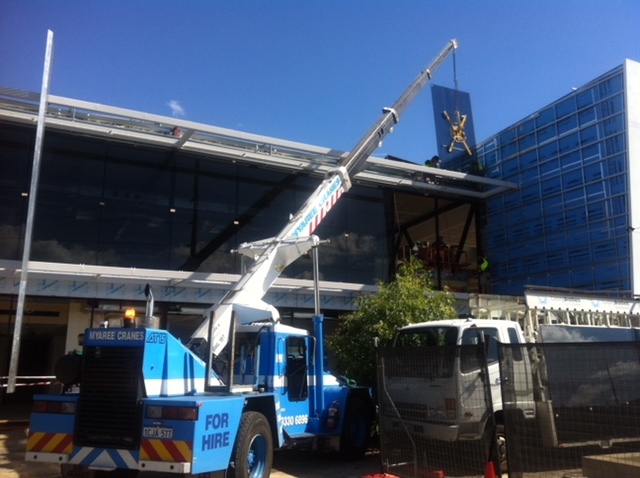 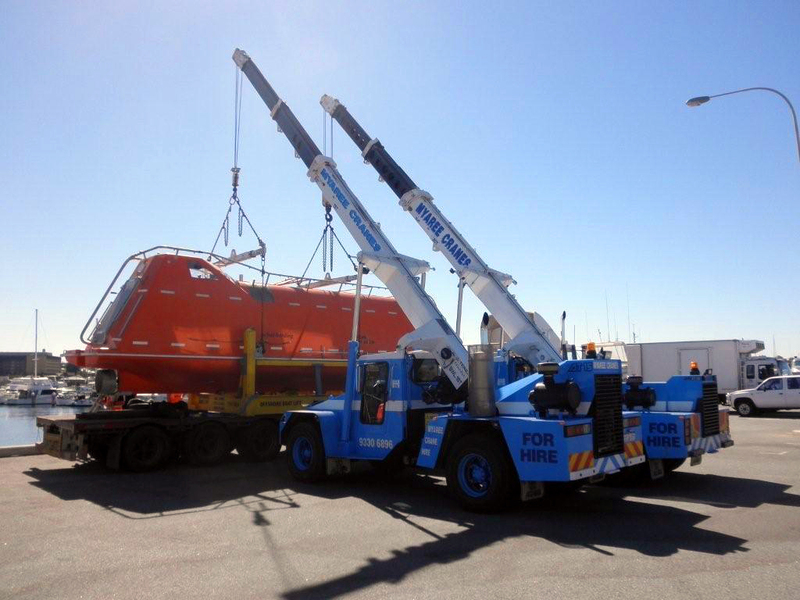 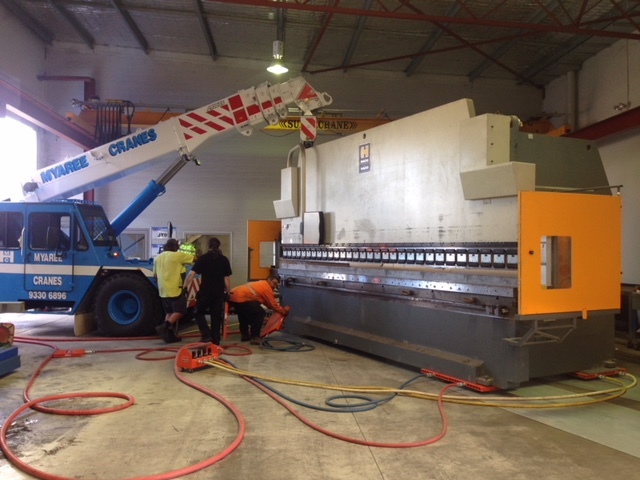 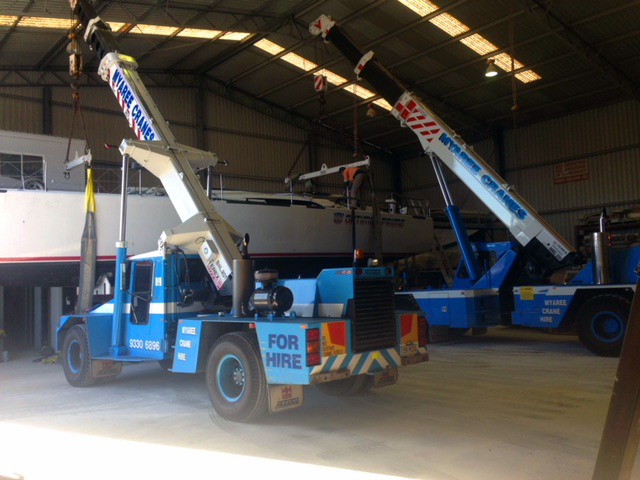 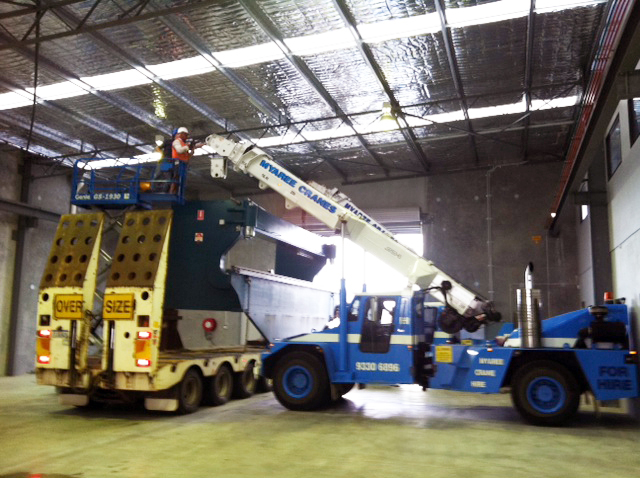 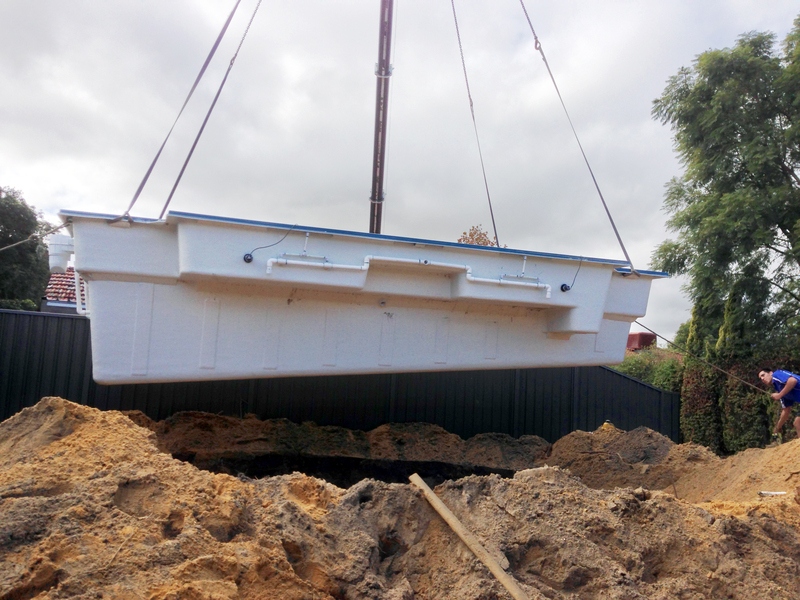 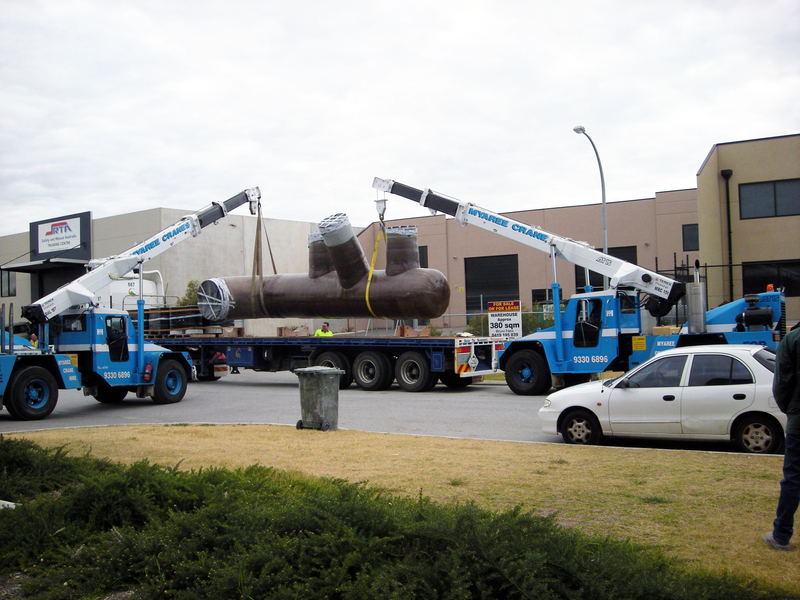 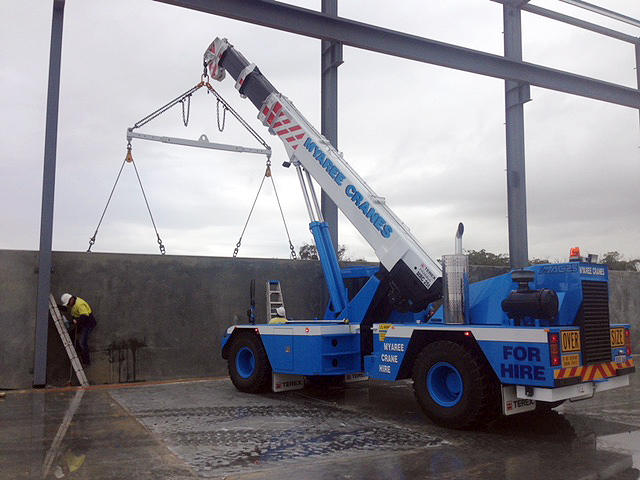 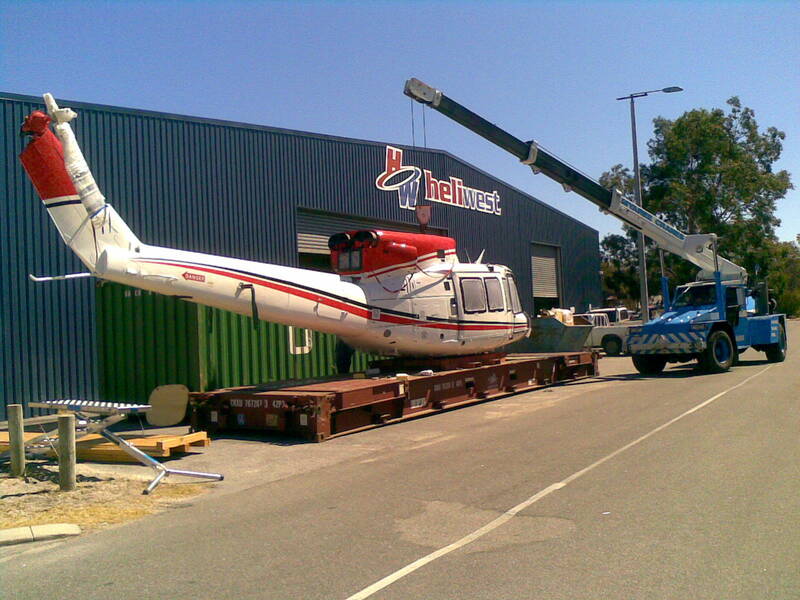 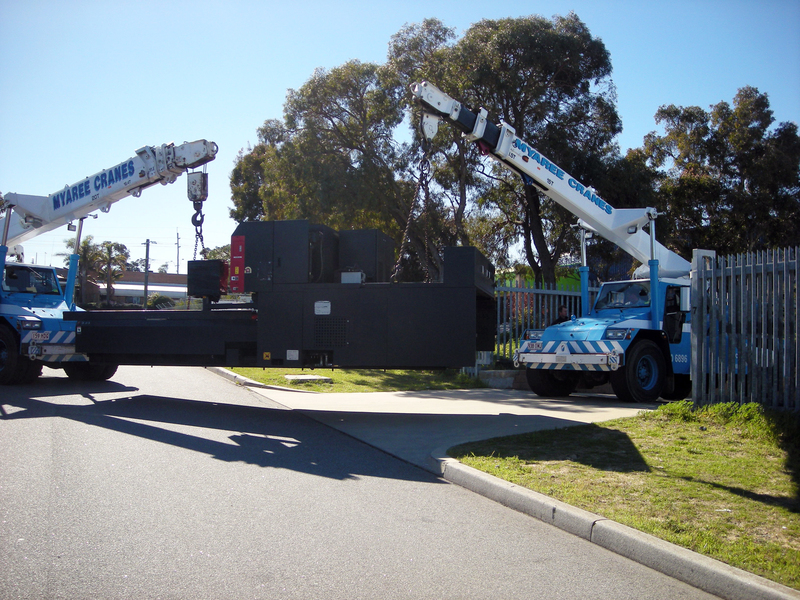 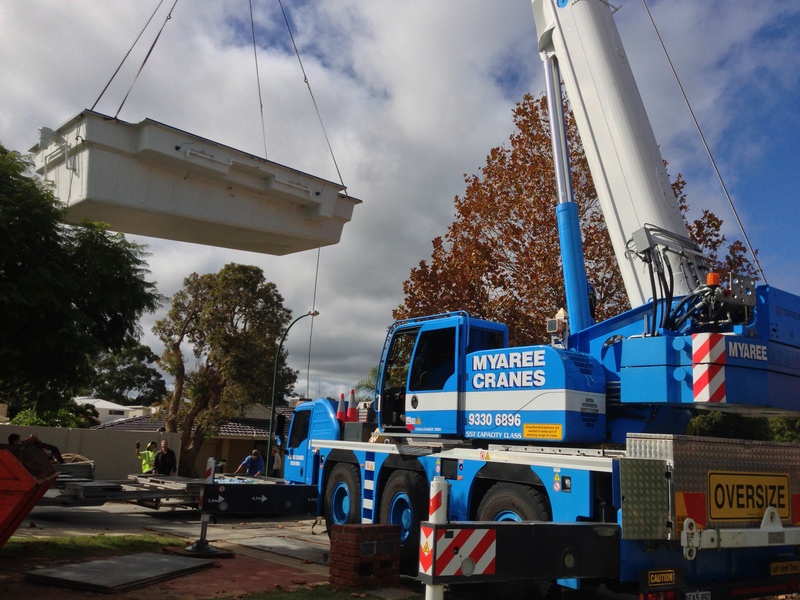 …is a second-generation family crane hire company established in Perth in 1984. 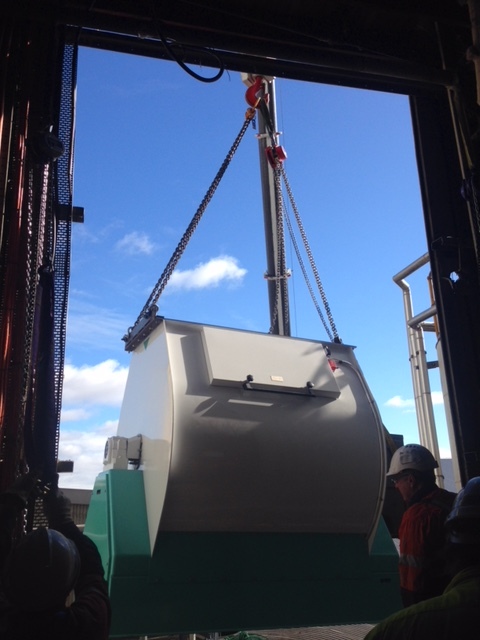 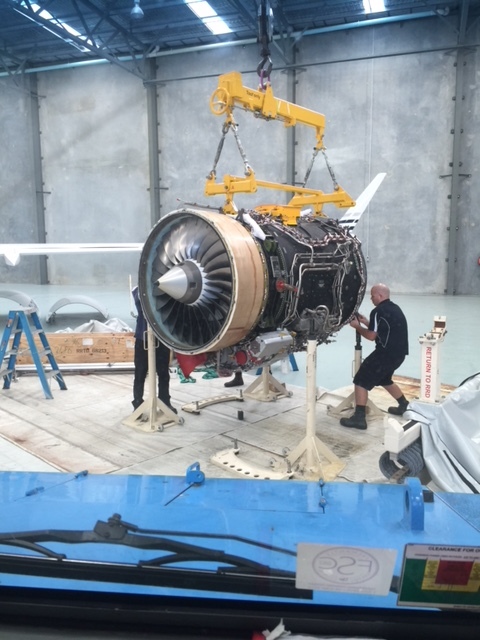 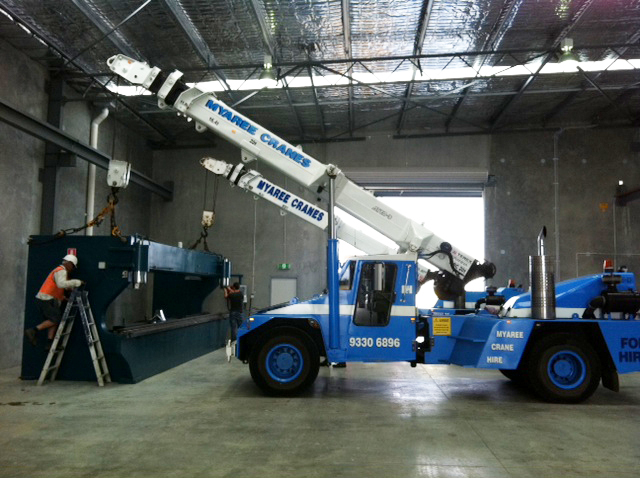 We pride ourselves in offering affordable and effective lifting solutions across multiple industries and sectors. 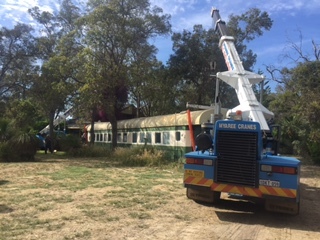 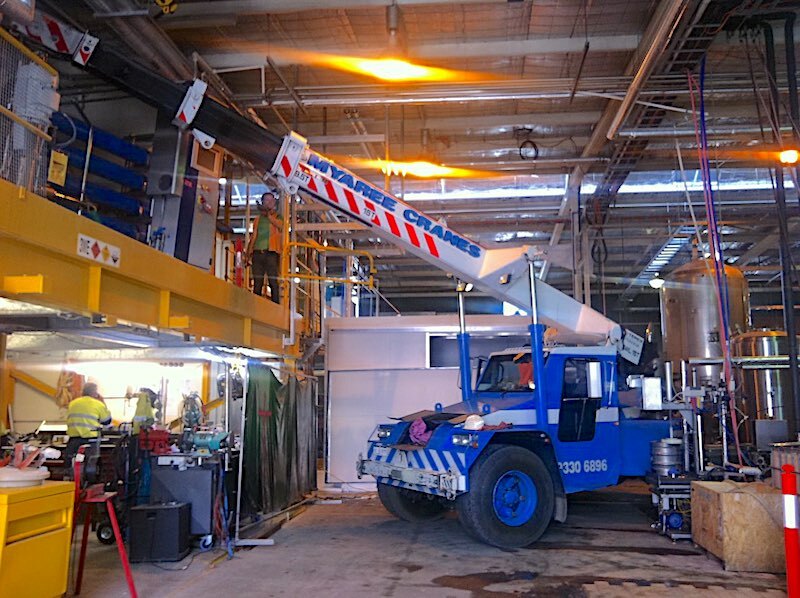 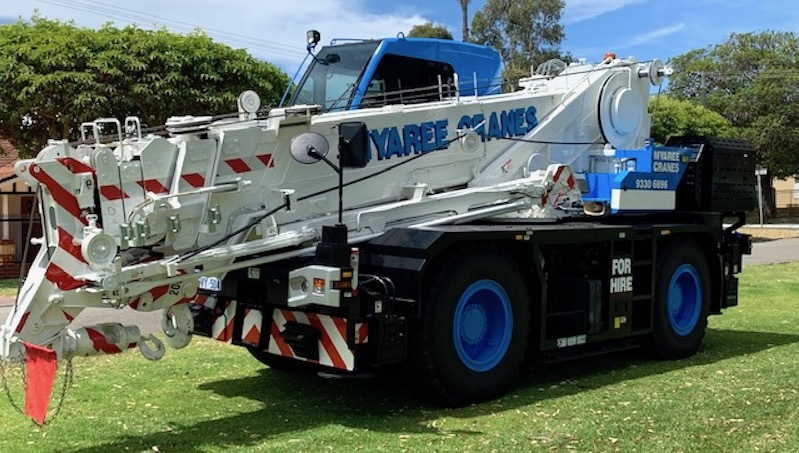 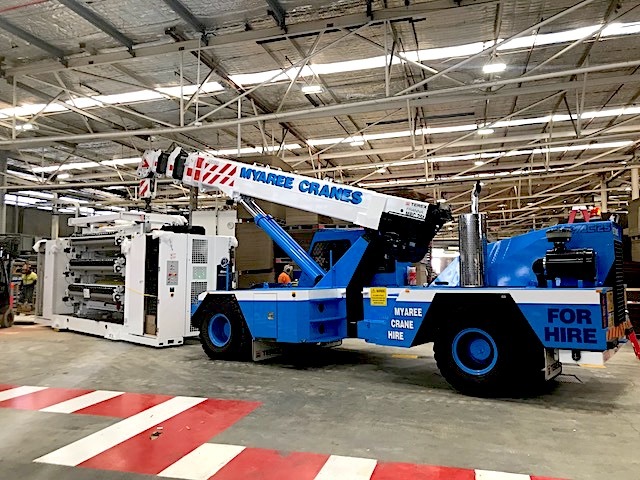 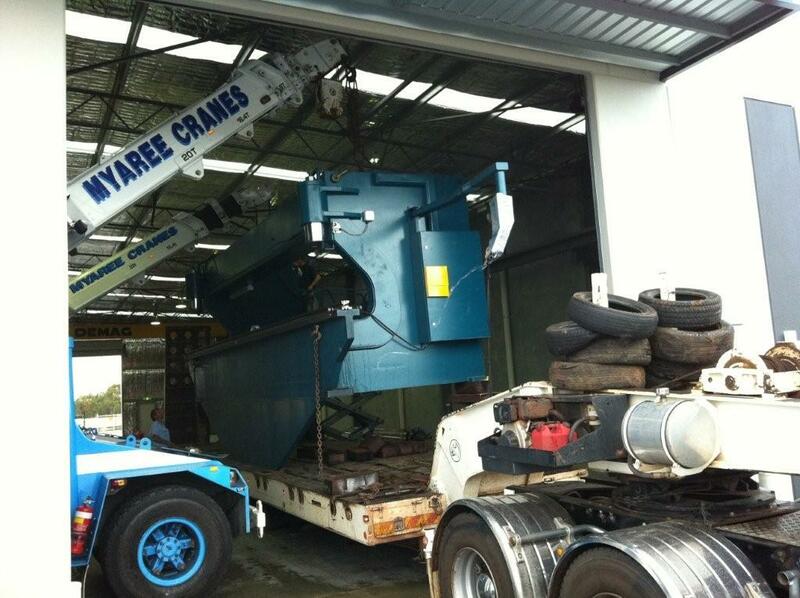 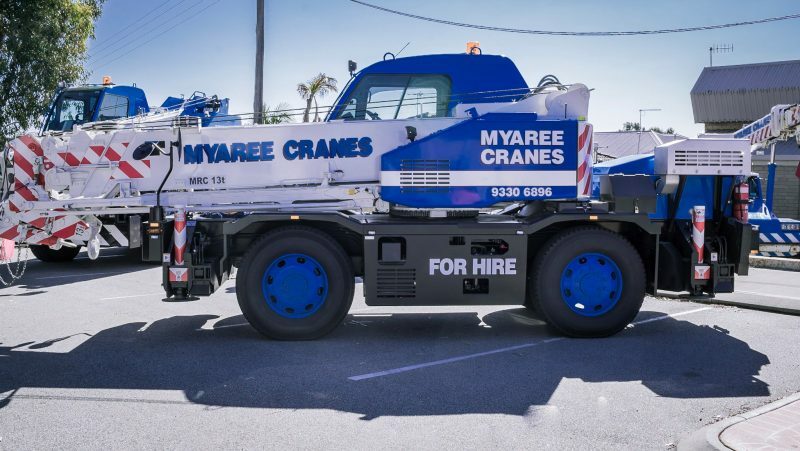 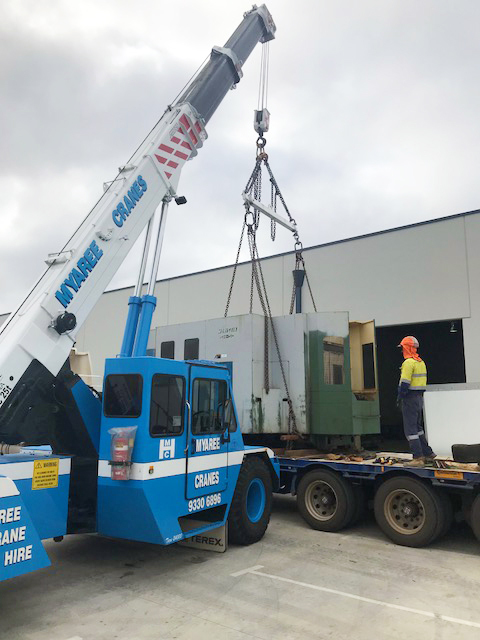 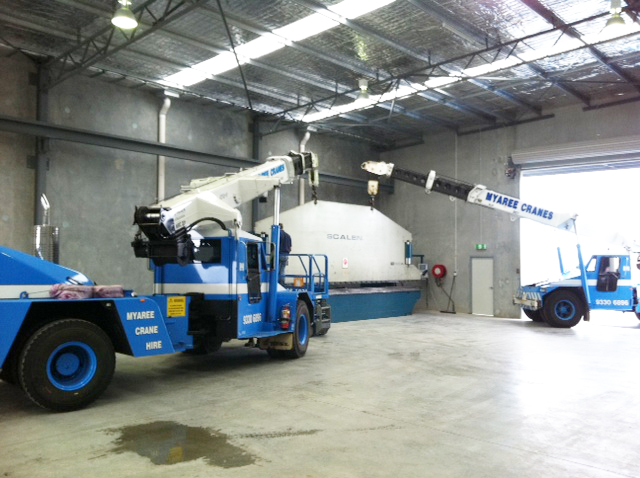 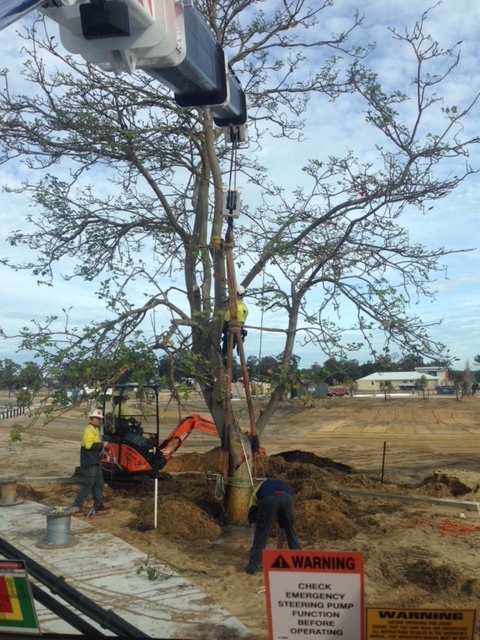 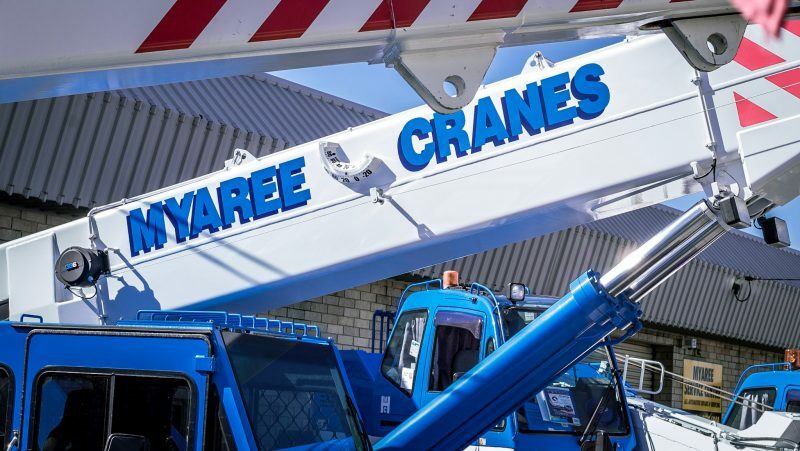 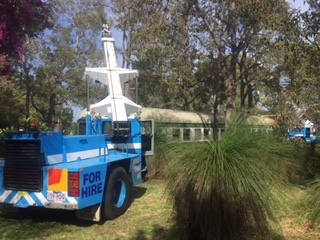 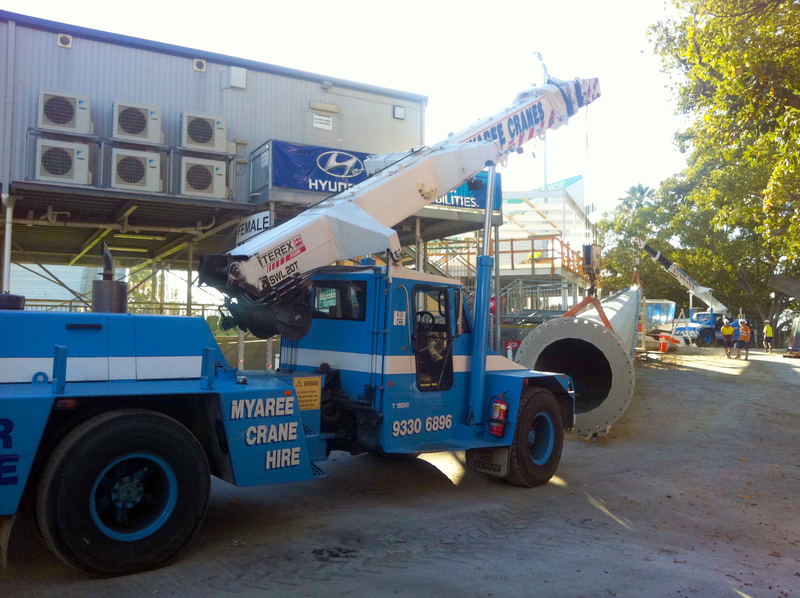 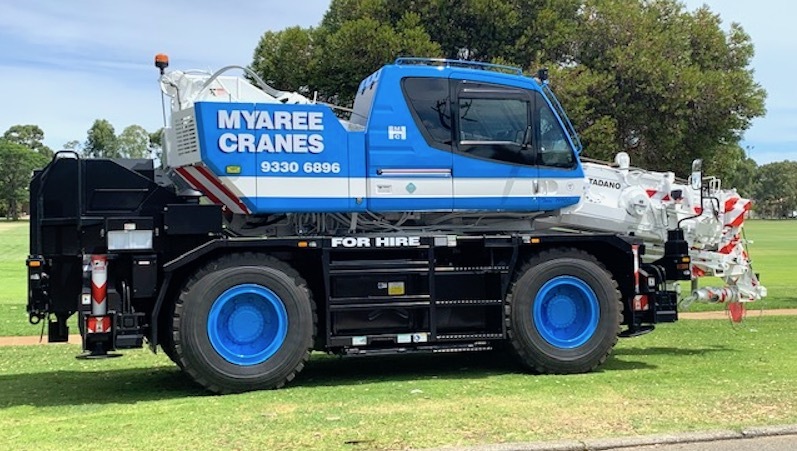 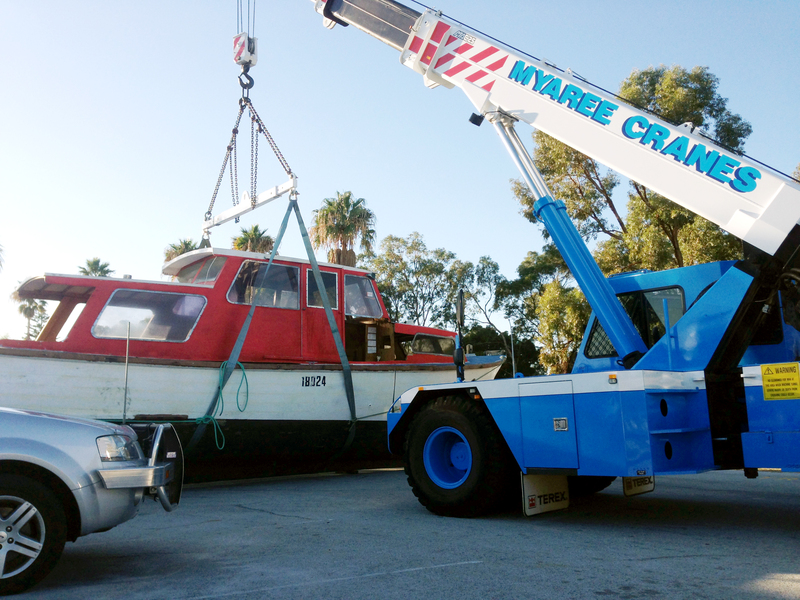 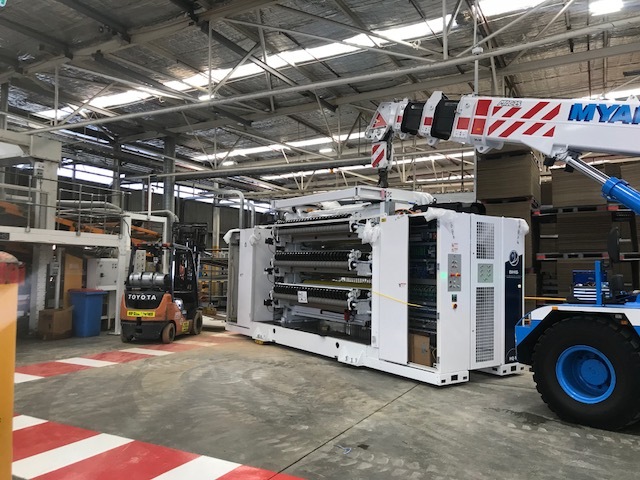 From humble beginnings, Myaree crane hire’s fleet comprised only of two cranes – 6 Ton JEC and an 8 Ton BHB tractors cranes. 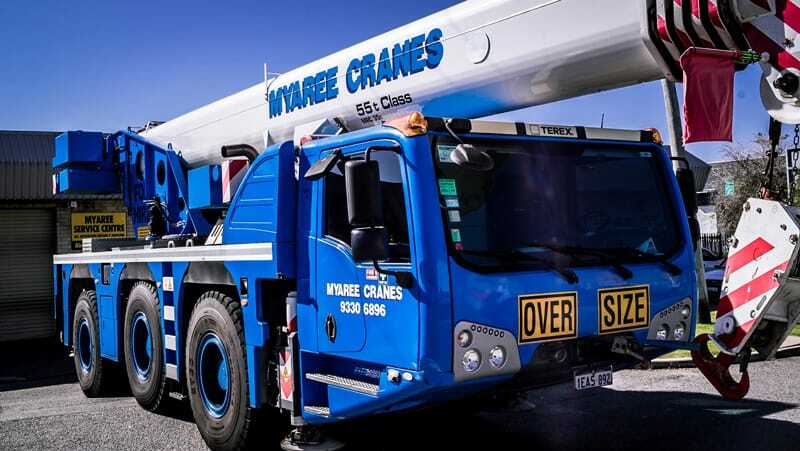 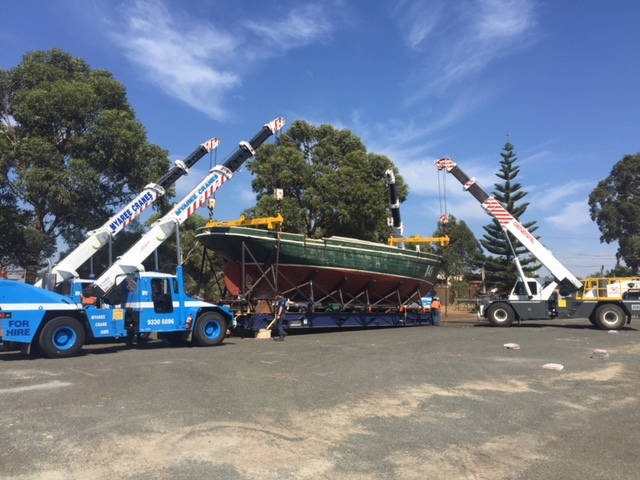 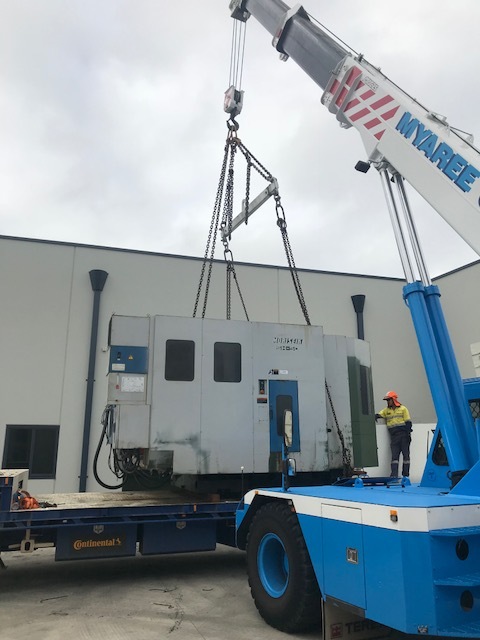 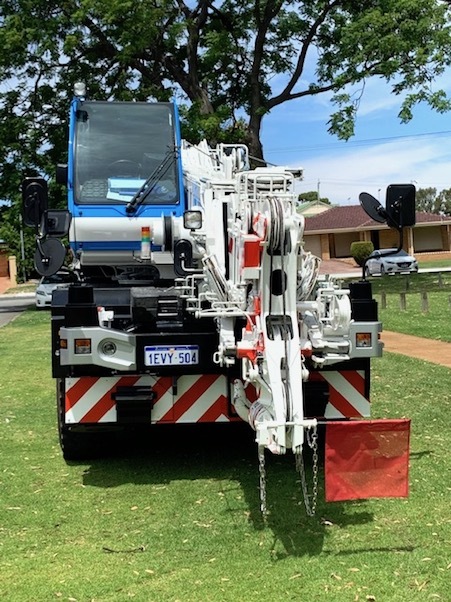 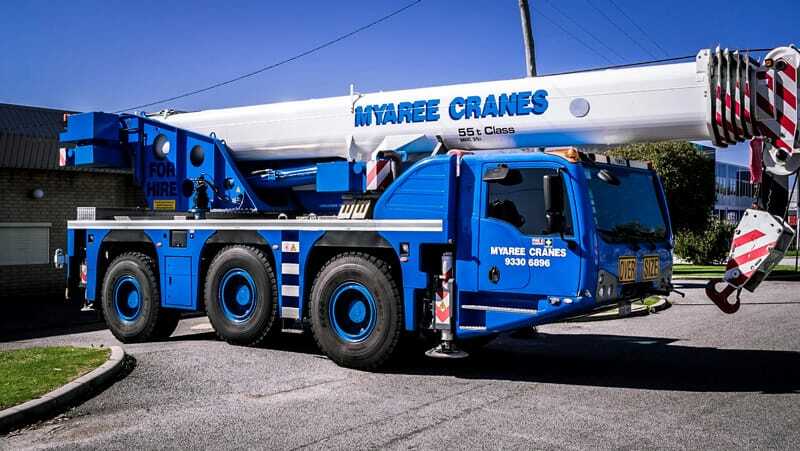 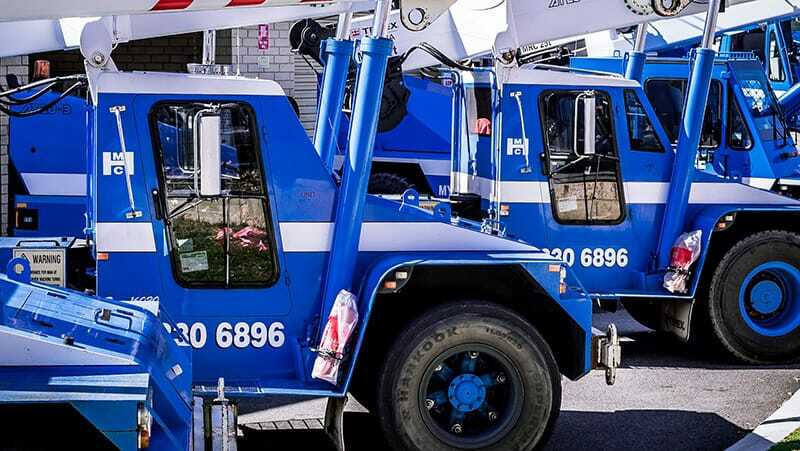 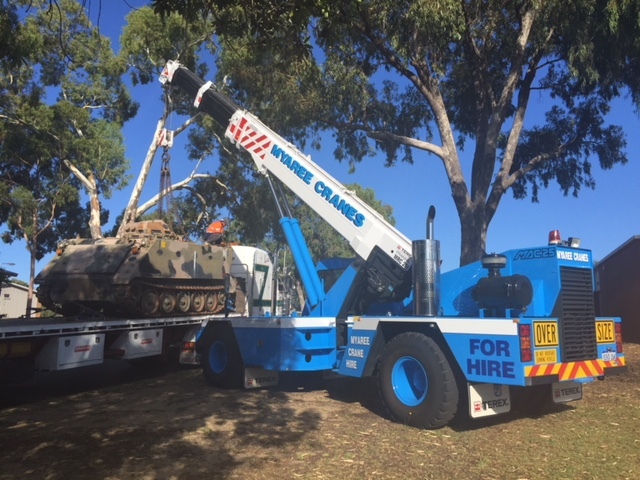 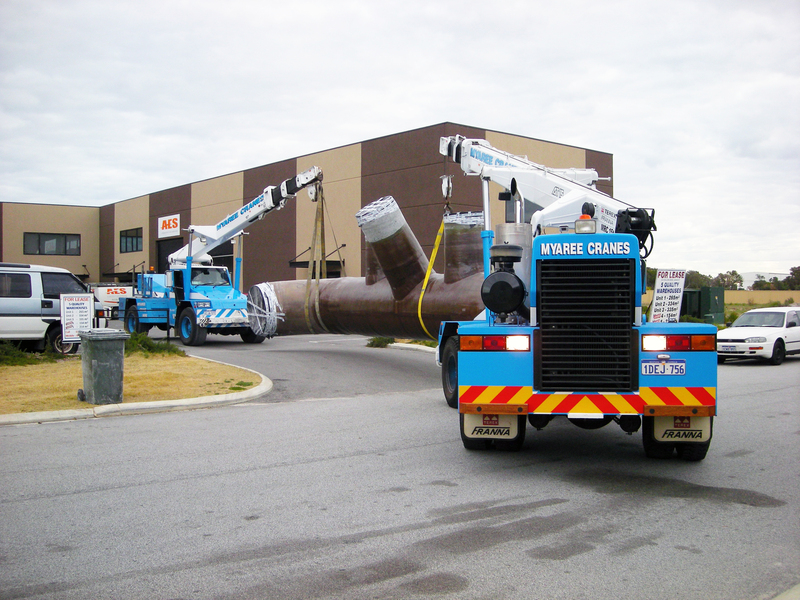 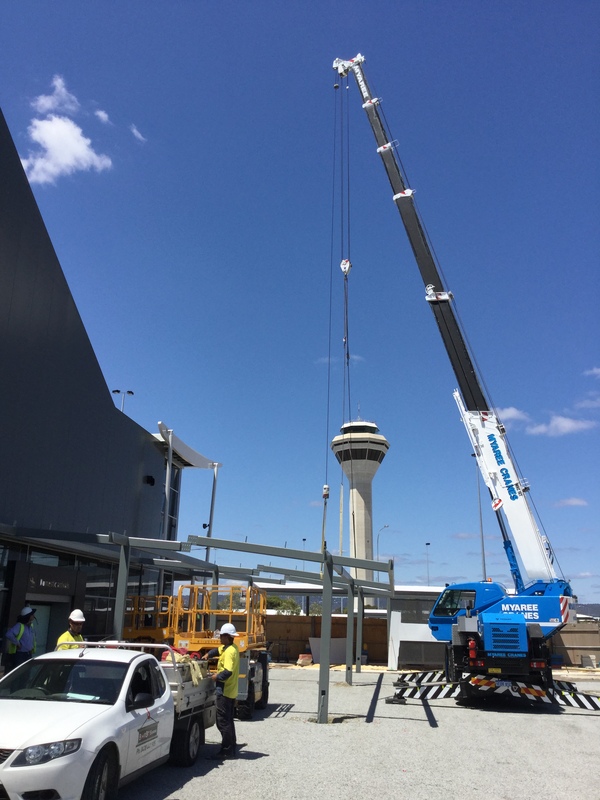 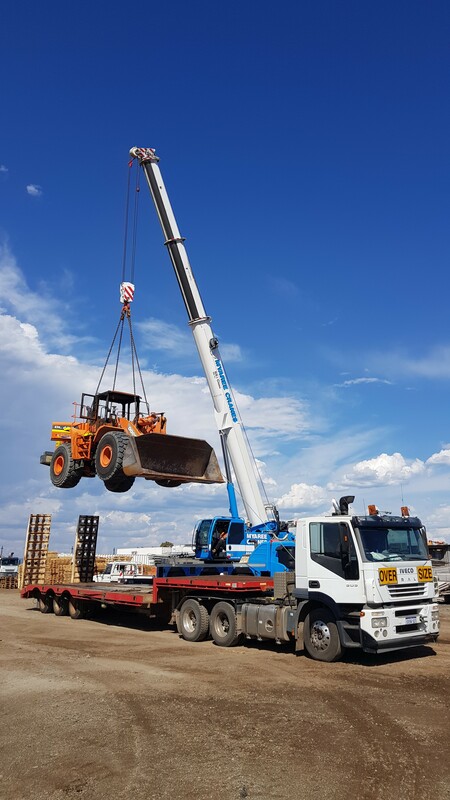 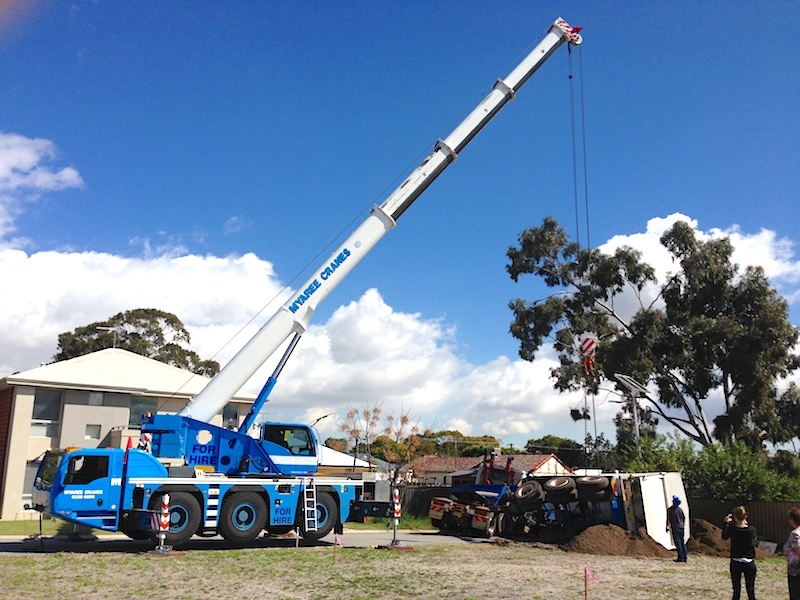 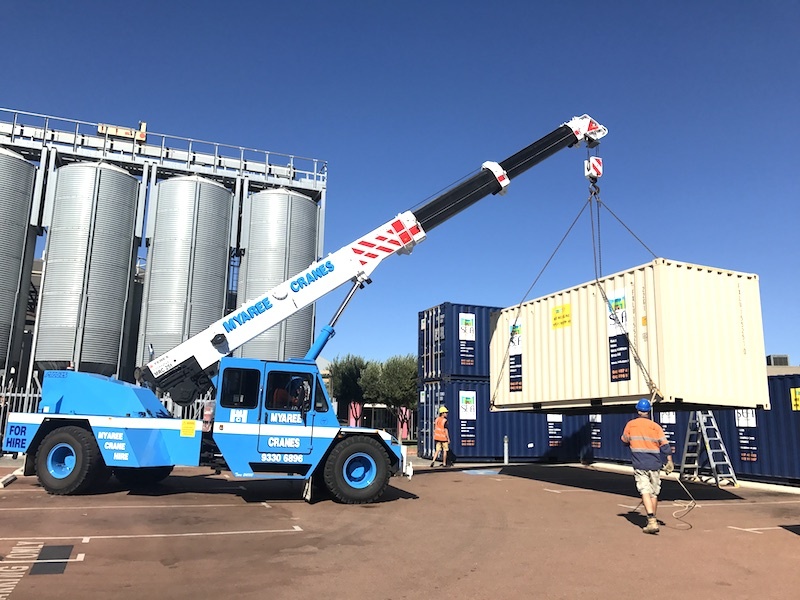 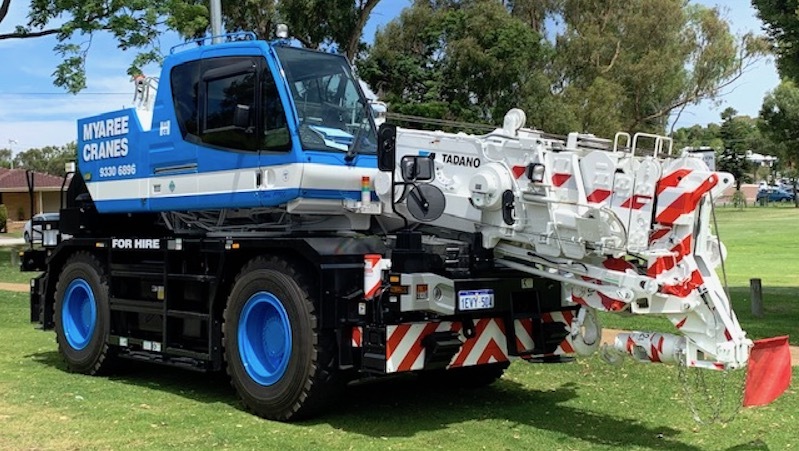 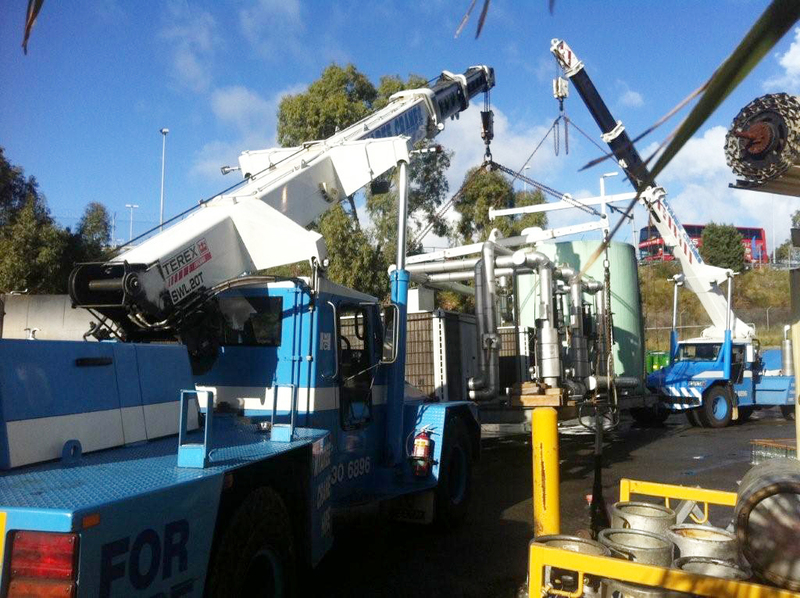 Today, Myaree Crane Hire Perth, boasts a crane fleet comprising of 10 mobile cranes, consisting of Franna Cranes, Tadano Cranes – otherwise known as Tom Thumb Cranes or Perth City Cranes, and finally our 55T De Mag Terex All Terrain Slewing Crane. 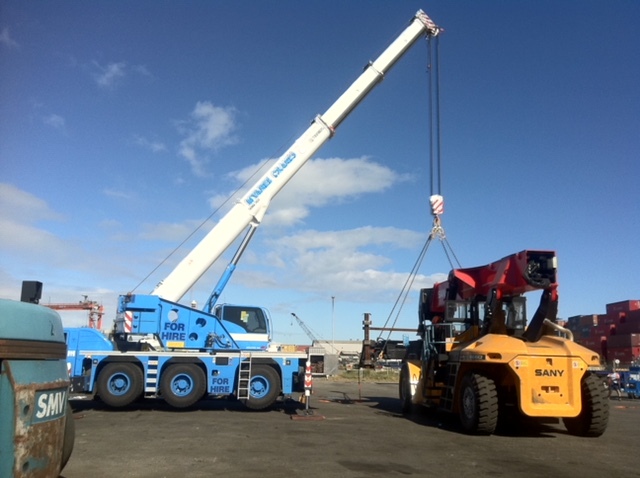 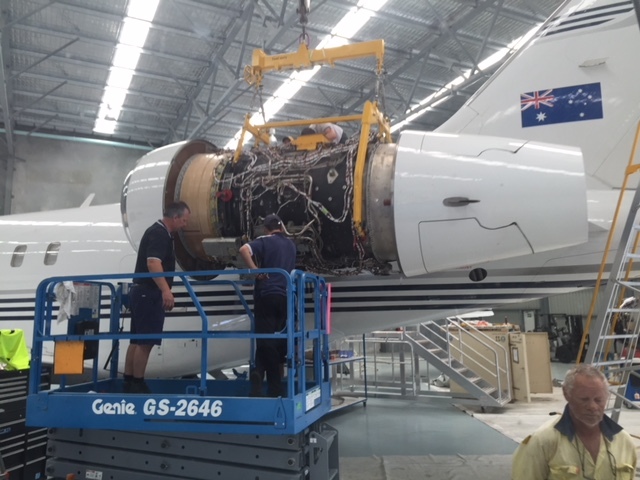 Contact us now for a lifting assessment. 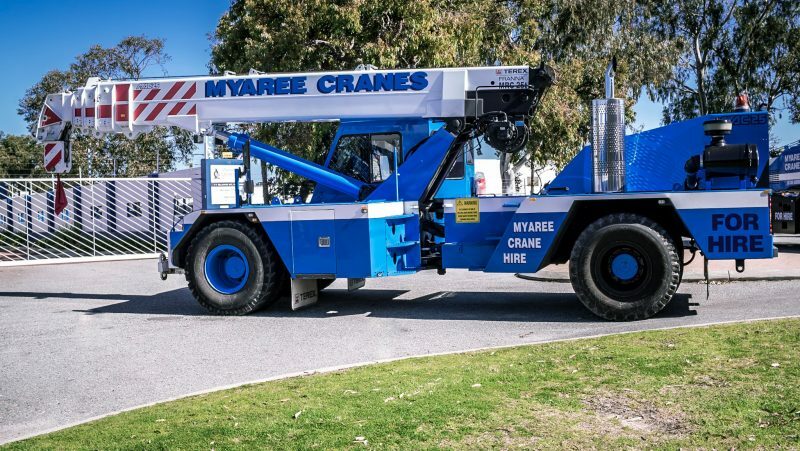 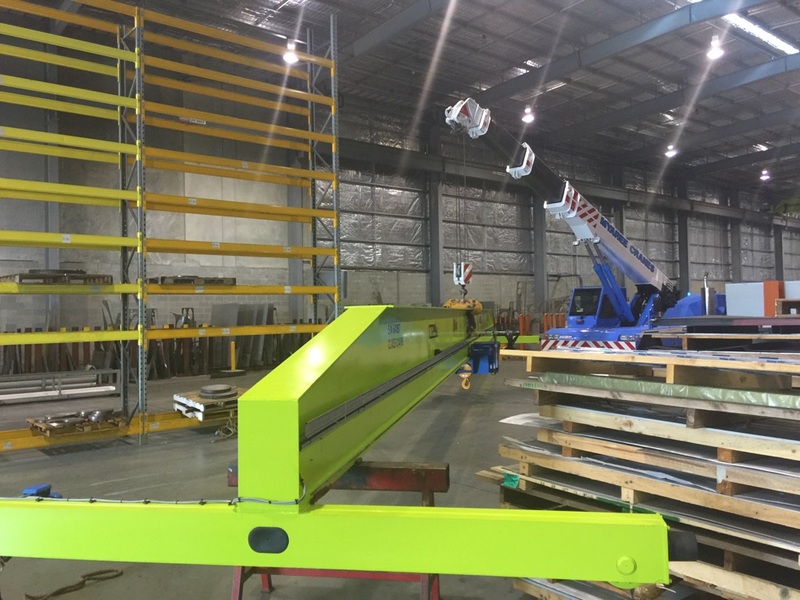 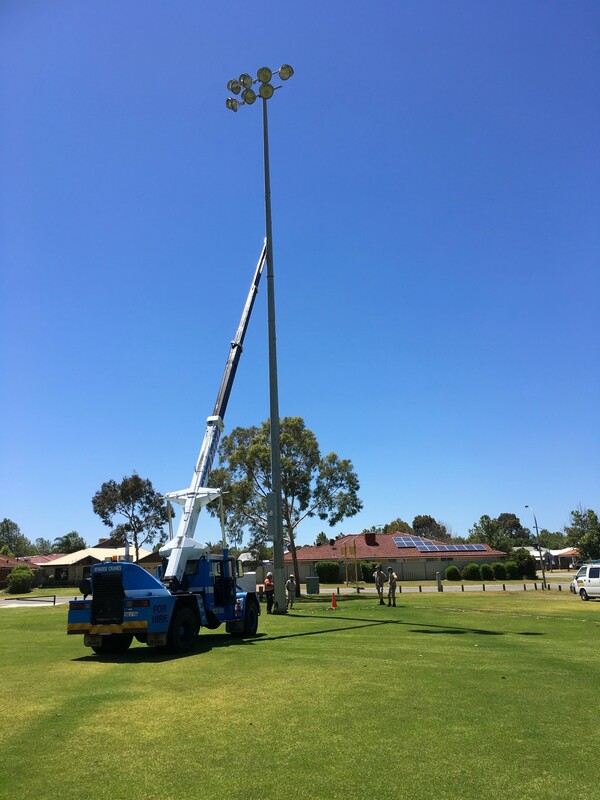 When you book your next crane hire with Myaree Crane Hire, you’ll get all the advantages of dealing with a sizeable company which has a large, diverse and extensive experience with both residential and commercial projects. 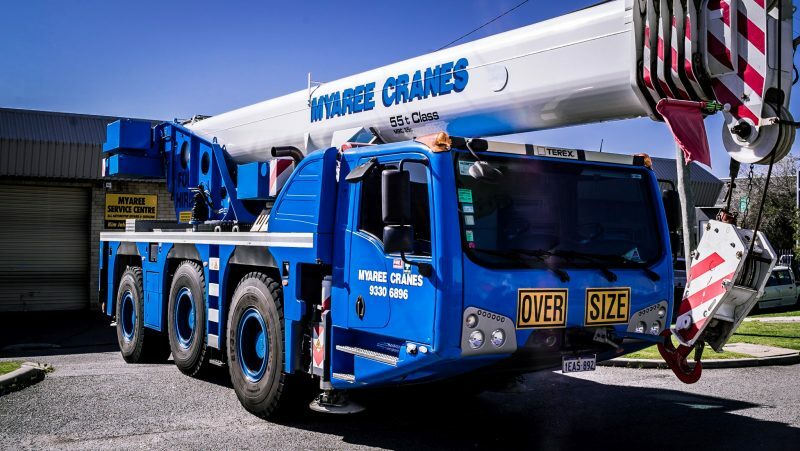 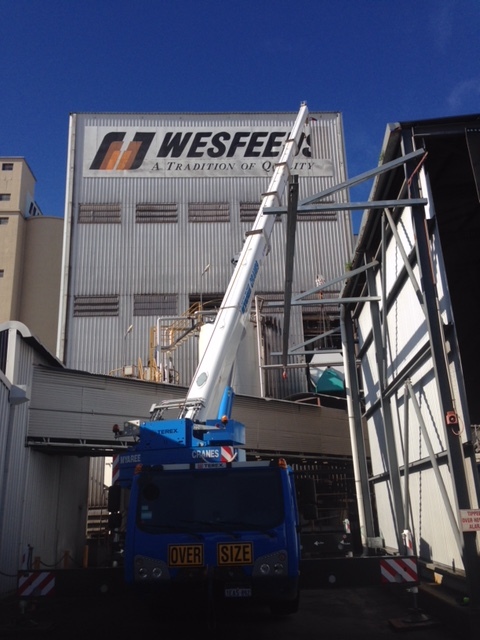 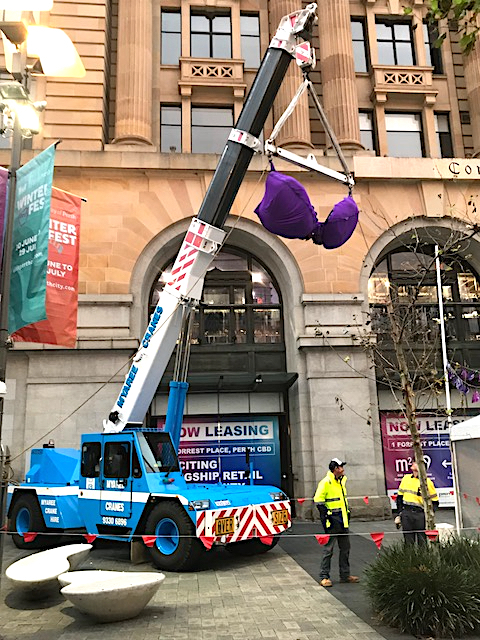 If you’re looking for a professional crane hire company in Perth which still puts the customer first, then get in touch today. 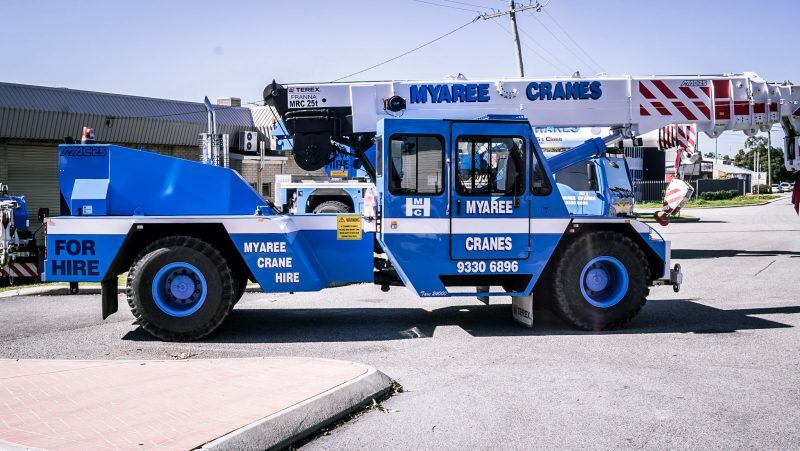 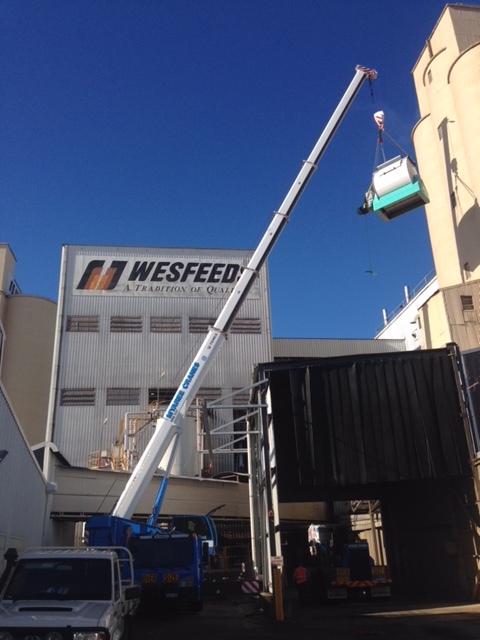 Click on any of the images below to view some of our previous crane hire lifts for some of our previous customers.